German engineering at its best. 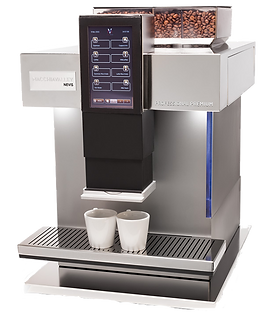 Dynamic temperature control,quiet ceramic grinders and duel coffee blend availability. Award winning design in the distinctive colours of brushed steel and black steel.